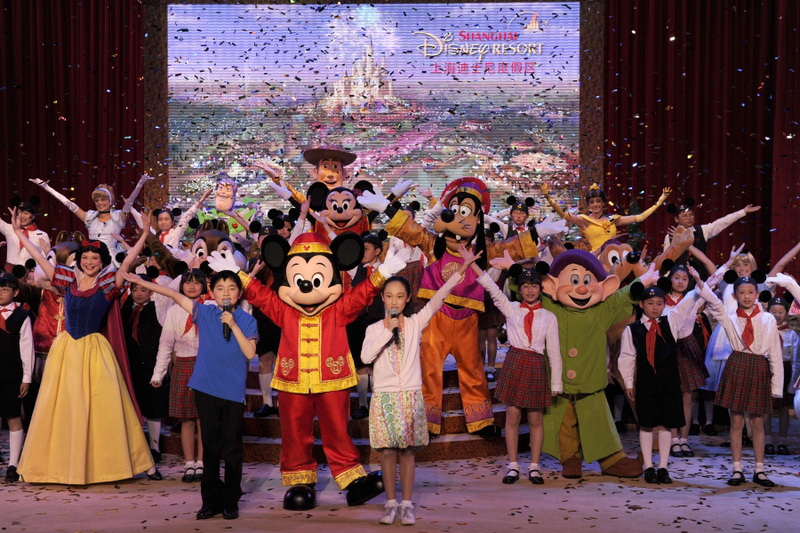 Click Here to visit the official English language Shanghai Disney Resort website. 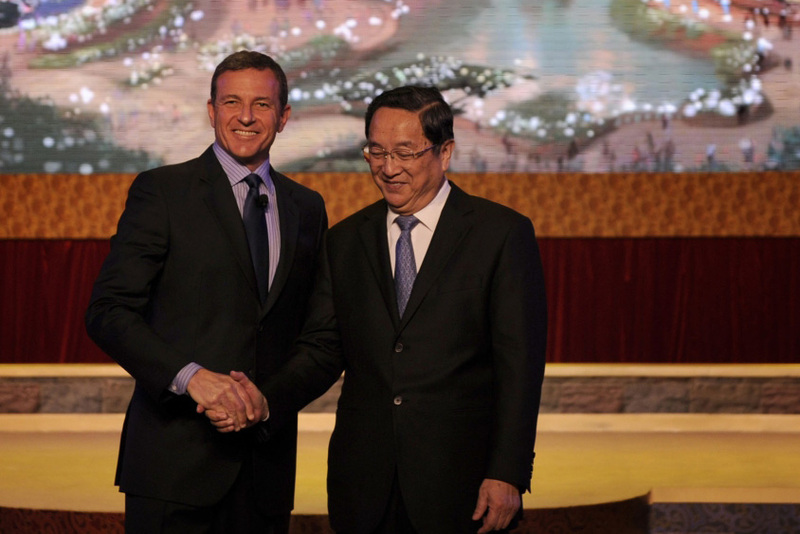 I’m writing to you from Shanghai where Bob Iger and I are just about to take the stage for a very special ceremony. In just a few minutes we will officially break ground on the Shanghai Disney Resort. 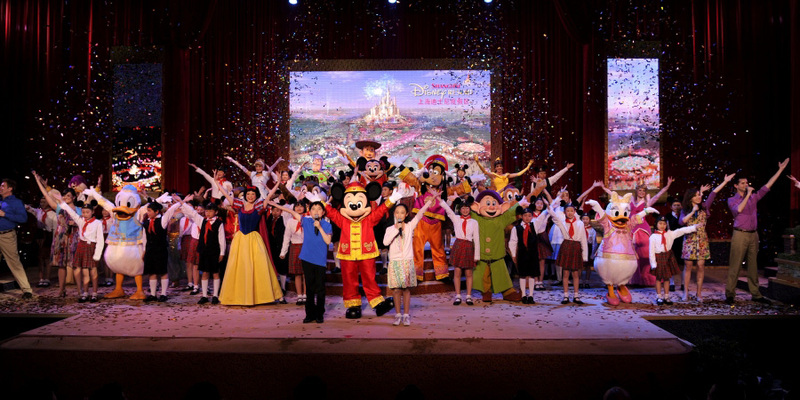 With Shanghai Disney Resort, we have the chance to introduce the Disney Parks experience to an entirely new group of guests. 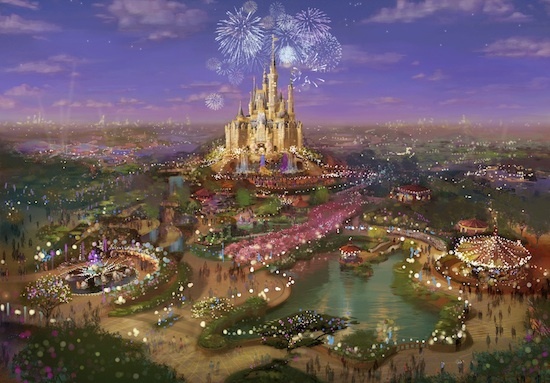 Scheduled to open in about five years, our new resort in Shanghai will include things that you know and love about a Disney theme park such as Disney characters, attractions and storytelling… but it will also feature all-new experiences and stories that were inspired by and created for the people of China. 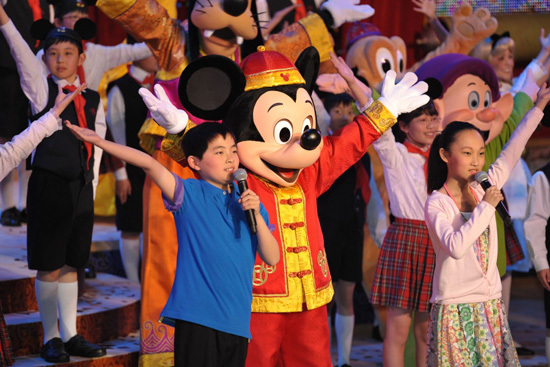 The best way to describe this new resort is authentically Disney, yet distinctly Chinese. 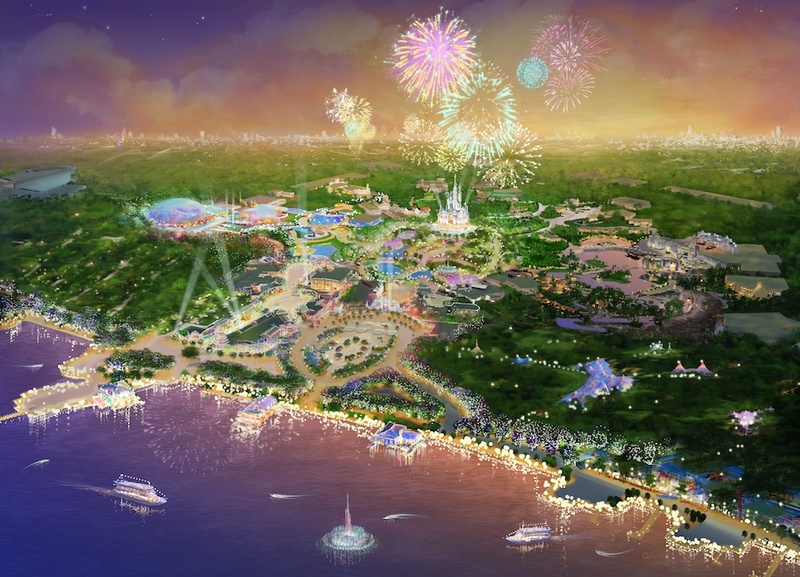 Shanghai Disneyland will be the name of the theme park itself, but the property will also have two themed hotels, a venue for retail, dining and entertainment, a wonderful sparkling lagoon and some outdoor recreation areas. 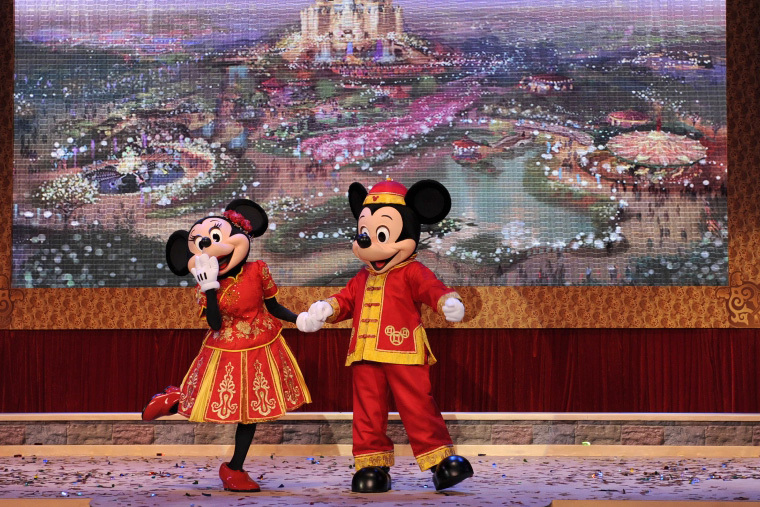 We look forward to sharing more details with you right here on the Disney Parks Blog. Until then, I would like to thank everyone from both Disney and the Shanghai Shendi Group who have worked so tirelessly to make the dream of building a Disney resort in Shanghai a reality. 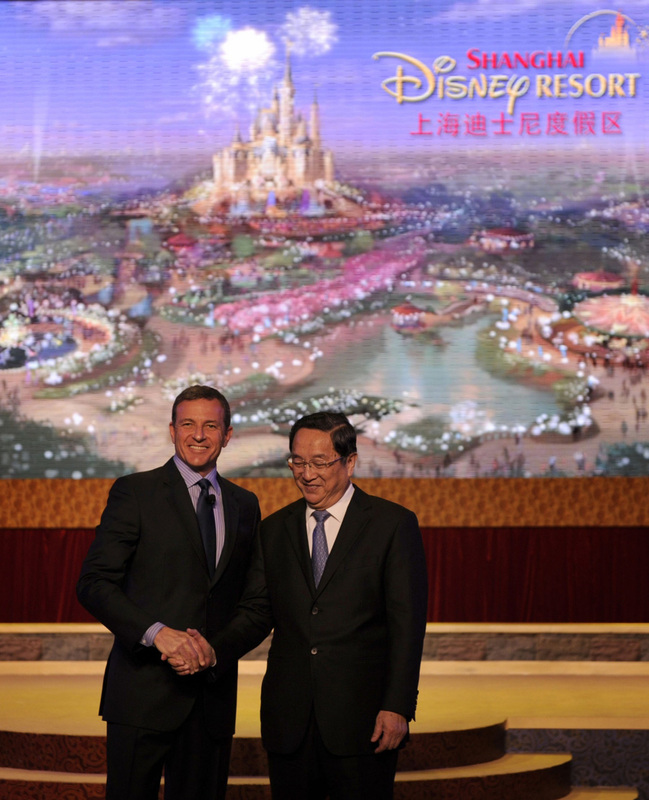 Last night, we made history at The Walt Disney Company when we officially broke ground on the Shanghai Disneyland Resort and we couldn’t be more excited. Did you see the new castle art? 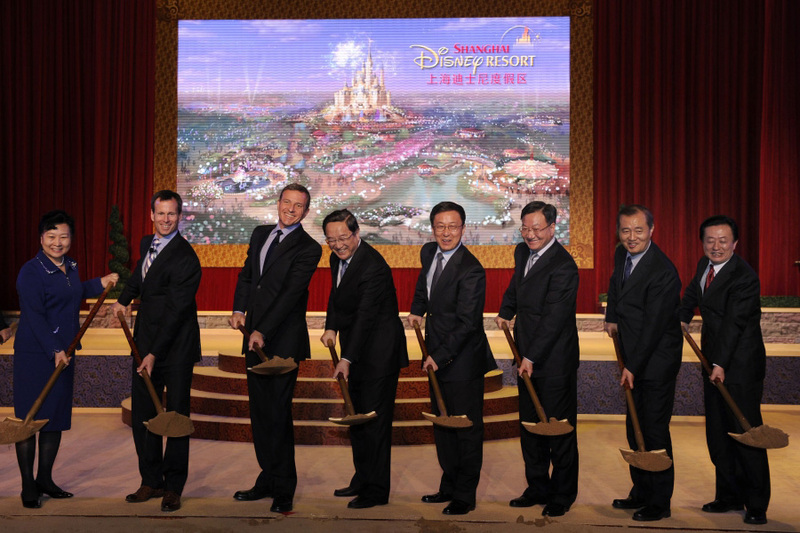 Today, we’re continuing the celebration with a first look at the groundbreaking ceremony that was authentically Disney and distinctly Chinese – just as the park promises to be. 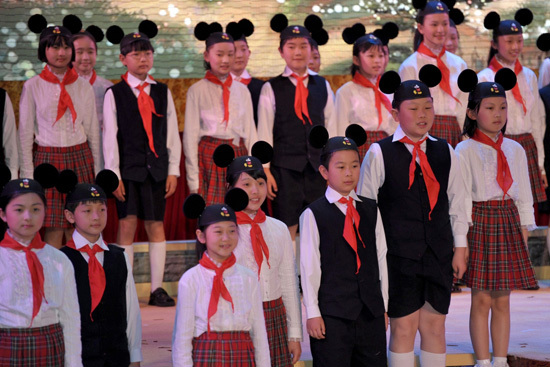 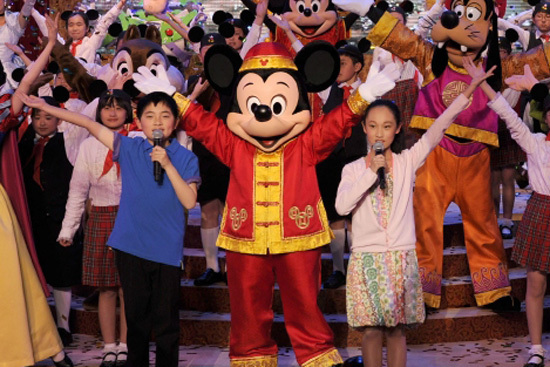 The ceremony featured Mickey Mouse dressed in a traditional Chinese costume, a 50-voice Shanghai children’s choir, a female soloist singing in Mandarin and traditional Chinese drum music. 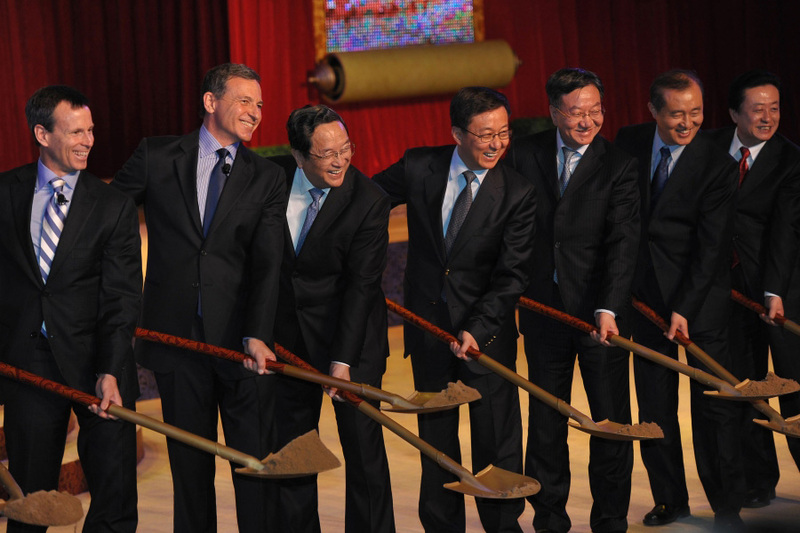 After the entertainment, Walt Disney World President and CEO Bob Iger and Chairman of Walt Disney Parks and Resorts Tom Staggs were joined by Shanghai Party Secretary Yu Zhengsheng and Shanghai Mayor Han Zheng to officially break ground on the project. The resort will include a Magic Kingdom-style park called Shanghai Disneyland, two themed hotels, a large dining and entertainment venue, recreational facilities and more. 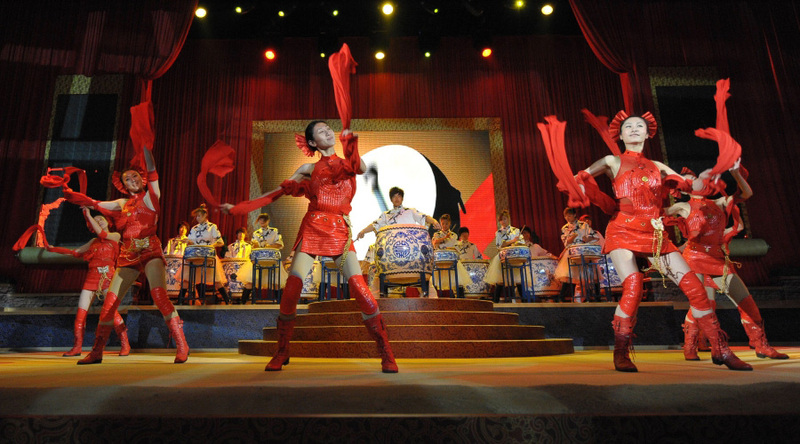 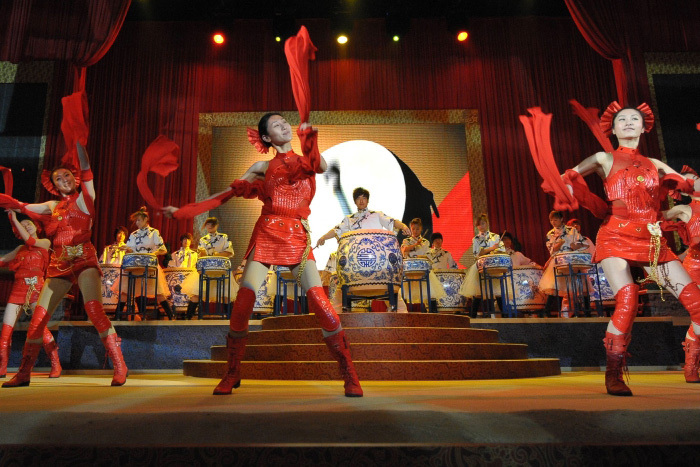 There will be all-new attractions and experiences tailored specifically for the people of China at the park. And yes, expect to see several themed lands with iconic Disney attractions. 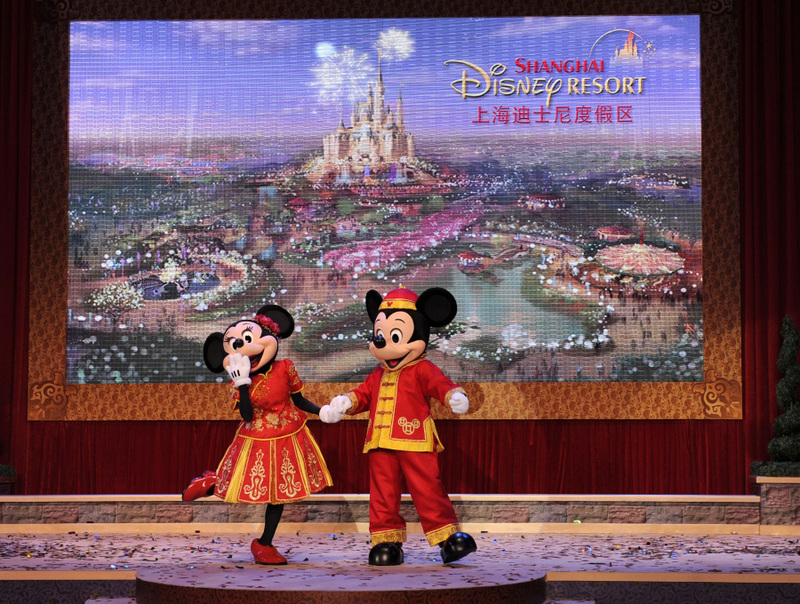 The new Shanghai Disney Resort is slated to open in approximately five years. 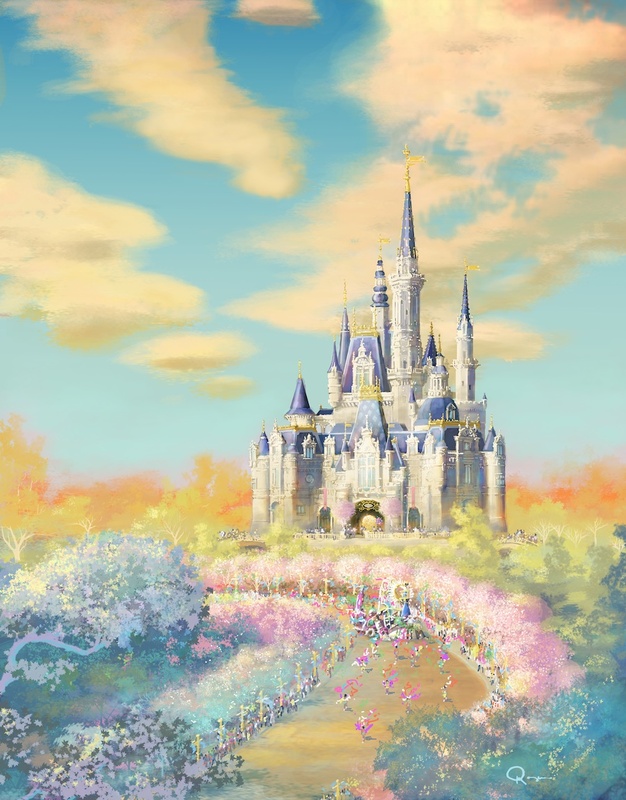 Check back here on the Disney Parks Blog for more updates in upcoming months.